an acute phase reactant, C-reactive protein (CRP) is routinely used in clinical practice and in RA classification criteria. independent and combined effects of CRP and 14-3-3η on radiographic progression. score over 30 months were assessed in relation to CRP and 14-3-3η co-expression using ANOVA analysis. the relationship between CRP positivity with radiographic changes at 30 months based on ΔSHS ≥1, 3, and 5 unit cut-offs. Results: Of 331 patients, 207 (63%) and 153 (46%) were CRP and 14-3-3η positive at BL, respectively. both CRP and 14-3-3η as significantly associated with radiographic changes. progression (p<0.001) with over 50% of patients having ΔSHS≥5 over the 30 month period. markers may assist with tight control RA treatment strategies. Disclosure: G. Boire, None; N. Carrier, None; A. de Brum-Fernandes, None; P. Liang, None; A. Masetto, None; Y. Gui, Augurex Life Sciences Corp, 3; J. Savill, Augurex Life Sciences Corp, 3; S. Michienzi, Augurex Life Sciences Corp, 3; H. Ménard, None; W. Maksymowych, Augurex Life Sciences, 5; A. Marotta, Augurex Life Sciences Corp, 3. Boire G, Carrier N, de Brum-Fernandes A, Liang P, Masetto A, Gui Y, Savill J, Michienzi S, Ménard H, Maksymowych W, Marotta A. CRP and 14-3-3η Are Each Associated with Joint Damage Progression, Their Titres Do Not Correlate and Are Better Predictors of Progression Together Than Alone [abstract]. Arthritis Rheumatol. 2015; 67 (suppl 10). 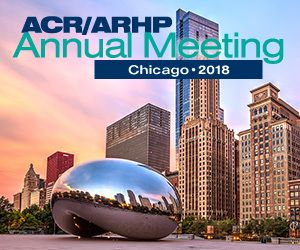 https://acrabstracts.org/abstract/crp-and-14-3-3-are-each-associated-with-joint-damage-progression-their-titres-do-not-correlate-and-are-better-predictors-of-progression-together-than-alone/. Accessed April 20, 2019.